We Are Join Us in France, We Must Talk About Cheese! This is join us in France episode 19. 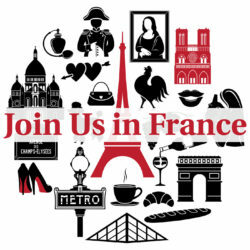 We welcome you to the join us in France travel podcast. Elise is a professional tour guide, art historian, and a really good storyteller. On today’s show will be talking about the history of cheese in France. And how French people go crazy for cheese! And why you should really try some on your next visit, and maybe how you should get a little more adventurous than your regular English speaker. Yes, live dangerously! joinusinfrance.com and on the left-hand side you’ll see the green button and a box where you can enter your email. Enter your email, push the green button, and you’ll be subscribe to the website. Then you will get updates the email. It’s as simple as that! Don’t worry if you can’t take notes, you can find our show notes on the joinusinfrance.com/19. Now let’s have a little music, I don’t know what might have to go get some cheese Elyse! We might get a little pasty mouth by the end of this one. And then, will come right back and talk about cheese! So today Annie, where going to talk about one of your favorite things in the whole world. Yes, I am weak. Your will is weak, your mouth a strong! Cheese! I have to say that in preparing my notes for the podcast, I was reading all kinds of articles, looking at pictures on the Internet, and I started salivating. You cannot have a podcast called Join Us in France and not talk about cheese! We are not cheese professionals, we have never made cheese, well actually I have made some simple cheese. Some “fromage blanc”, because when I lived in the US for long stretches of time I could not take it that I didn’t have my favorite cheese, “fromage blanc” for dessert, so I made my own for years! I thought I’d begin because it was quite curious myself with the etymology of the word “fromage” which is of course the word for cheese in French, and the etymology comes from the word “forma”, which had distorted and became “froma” which then became “fromage”. And the word “forma” was the word for the mold with the holes in it that allows the curds and the whey to separate. In other words, the earliest kinds of cheese were kinds where milk was put into simple wooden forms, and it had holes so that the liquid would drain out, and it curdled. In fact, there are images on the inside of the pyramids that show cheesemaking. So, what do you think are the oldest remnants of cheesemaking? In the Sumerian basin, where Iraq now is, there are images that show that cheese was made 5000 BC. Cheese comes from the Mediterranean basin. It doesn’t come from Northern Europe, it comes from the area where there were many sheep and goats. This is because when the tribes were semi-nomadic, they would take the stomach of an animal as a gourd for carrying liquids and for food. And since they traveled with milk, eventually the milk would curdle and get really sour, and that was the very first kind of cheese. I think rennet is what makes cheese, and if natural rennet comes from the lining of the stomach that’s why it made cheese. And Feta cheese is one of the oldest kinds of cheese. It’s what’s called a fresh cheese. It’s it’s made by the milk turning with the rennet and adding some salt. So cheese goes back very far. I don’t think anybody knows at this point because this is pre-recorded history, we don’t know if cheese was considered to be an everyday product or special product, but by the time we get to the Greeks and the Romans, they have cheese as one of the staples of their diets. The Greek still eat feta cheese a lot, so do Americans, but it’s the Romans who started inventing different kinds of cheeses. historian, Pliny the Elder (http://en.wikipedia.org/wiki/Pliny_the_Elder) who lived at the beginning of our era, he wrote this enormous book on the natural history of the world, and he talked about cheese. And he said that cheese was a significant part of everybody’s diet, and that it was a wonderful thing to eat. So you don’t even have to be French to appreciate the fact that cheese is a wonderful thing to eat! When the Romans arrived in Gaul the Celtic tribes were making a basic kind of cottage cheese, but they learned these other cheese-making techniques from the Romans. And when Pliny the Elder wrote about all of this, he was told by the Gen. of the Roman army that the best cheese came from the area around Nîmes. Today the area of Nîmes is not particularly well known for cheeses but rather for wines. There are good cheeses from the area called Lozère because to colder climate. For a very long time cheese was essentially either goat or sheep. Tell milk cheese is a much more recent invention. Until the last few centuries, there were not large herds of cows. People had a few cows for milk, and gals were also used for meat. But people were not hurting cows the way they had been herding sheep and goats for centuries. Sheep and goat can live and train that does not require a lot of green grass. So for the longest time on were talking about cheese were talking about cheese made out of the milk of goats and sheep. Today 87% of cheese is made from cow milk, which is a lot more than we figured. In Annie’s fridge it’s usually 50-50. People say that the goats cheese is healthier for you, not as fatty. What you do in France while you’re eating is that you talk about food, this is what life in France is like: you eat, and you talk about food. Always thinking about your next meal! So we’re not doctors, but we’ve heard that the easiest cheese to digest is goats milk cheese, and it has to do with the size of the globules of fact in the milk apparently. Apparently goats cheese is closest to human milk, so it’s the easiest one to digest, and in terms of richness, it’s goats, cow, and sheep. Sheep cheese is actually the richest, and therefore a little bit more difficult to digest if it’s a hard cheese. In French, goat cheese is “fromage de chèvre” and sheep is “brebis”. So sheep’s milk cheese is typically cheese made in the mountains, but goat’s milk cheese can be either from the mountains or the plains. origin in terms of the origin of the milk. But you also have the types of cheese: fresh cheese, soft cheese, semisoft cheese, hard cheese. And all of those can be made of any of those three milks. So it can be made from cow, sheep, or goat milk and still belong to one of these other categories. So you have a consistency in the taste as one kind of determination, and then the animal it comes from as the other. In America if you think about goat cheese, pretty much all you have is the soft spread cheese. In France a lot of it is semisoft and hard and there are a lot of ways to use goat milk to make cheese. cheese! They need bakers now! The baking came a little bit later apparently. According to one of the things in the spread, cheese-making technique came a little bit earlier than winemaking techniques, she would have guessed that it was simultaneous. But, it was really up to the monks. That period we all know as the dark ages, which is between 500 and 1000 A.D. when we have a lot of invasions from different tribes and groups of people from Eastern Europe, from the Steppes, from northern Europe that there is a basic destruction of the fabric of society. A lot of learning was lost, a lot of constructions were destroyed, it’s really thanks to the monasteries that certain things were kept. And one of them was the ability to know how to make different kinds of cheeses. And starting again in the year around 1000, you have a Renaissance and there’s a huge economic boost in society, there was a huge demographic boost, and that’s when cheese becomes popular for peasants. Before that it was really for the aristocrats. Today we don’t consider cheese is being for the rich, but under the Romans it was for the wealthy, it was a sign of privileged to have cheese. So starting about the year 1000 is the peasants who basically lived on good hard bread, dark bread, and cheese. So they would keep a couple of animals and they would make it and use it for their own consumption. In other words, it was not for sale. It wasn’t really an economic activity until the Renaissance. So that takes us up to about 500 years ago. Starting in the 1600s cheese became very fashionable. There was a writer who said that it would be a wonderful gift to give your lady love. Where not sure we want cheese for Valentine’s Day but there is a cheese that is in the shape of a heart it’s called Neufchatel and it is rather delicious. It is both nice-looking and delicious. So when we think about Versailles and the Kings of France, cheese was definitely on the table. A few years back Annie and her family went to visit the town of Roquefort, which is not very far from Millau, a beautiful area. We visited one of the cheese houses, and I would recommend that if you’re in the area at the nice thing to do. There are three or four you can visit, the one we chose is Société which is a very big brand. When you visit they take you underground because a lot of their facility is underground, you could call it a grotto, and have a little short film that starts to visit. The film tells you how Roquefort cheese started. And pretty much it boils down to God it did it! So they had this hallelujah chorus, on the true which peace it was but they had this booming music, and you see the finger of God like in the Sistine Chapel projected on the walls, and they tell you that’s who invented the cheese. And then they tell you this cute story: the young sheepherder had some milk in his pack, and he went after this beautiful young lady in the hills, and you get tired of carrying his pack so he hid it in a grotto, and then he was gone for several days trying to find this young lady, and then when he came back, I don’t remember he finds the lady or not, the milk that he had left had miraculously turned into Roquefort cheese, and this is when they have the hallelujah chorus! When Elise went to Roquefort they went to the cheese house called Papillon, and the story was completely different! So, they made it up! There was no hallelujah chorus at the Papillon, face it was a monk who left a piece of dried bread on top of a piece of cheese, underground in a place where it’s humid and the same temperature all year. Apparently had left a piece of rye bread, and he left it for some time, they don’t say how long, he probably didn’t go after a woman, and there was no finger of God either! 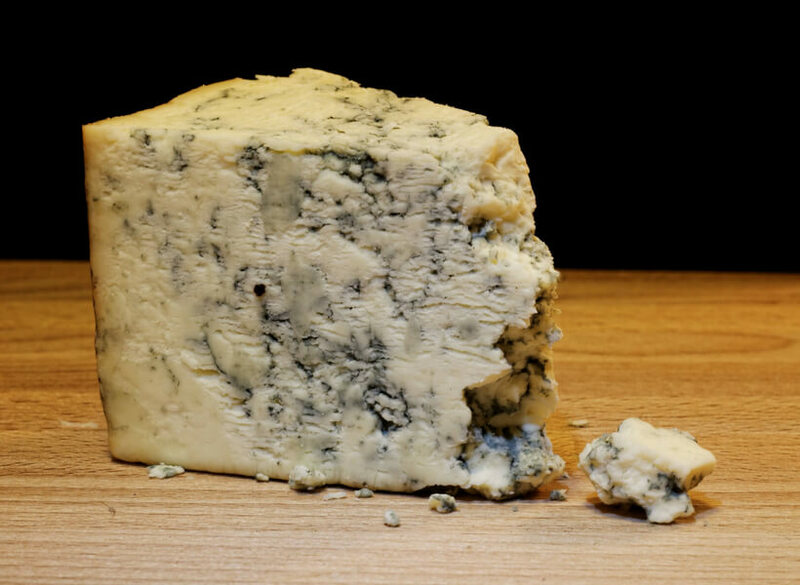 So he came back after some few days and the mold from the bread had entered into the cheese, and the mold in blue cheese is in fact penicillin, and it is really very good for you. What they do now is they inject it, it’s very rarely done it naturally because they need to control it for sanitary reasons, so it is the mold that entered the cheese and made it “persillé”. In French the word “persillé” comes from parsley “persil”, so it looks like a stew in which you add parsley, with little bits of green. Let’s talk about a little bit more history before we start talking about cheese in France today, something I mentioned, Pliny the Elder, in the days of Charlemagne the great Emperor of not only France but also all of Western Europe, which was the eighth century. Someone wrote this official biography at the time and Charlemagne is quoted as saying that he was given a soft white cheese as a present from somebody. Now remember Charlemagne lived up in the north, this cheese was apparently luscious and white and soft. And he said, why was it that he had never been given this present before, well guess what? That was brie! So they were making greedy even back in the eighth century! I also want to read a quote from a gourmet chef, one of the earliest in France, you can still buy modern versions of his cookbook and of food and cooking, he served the Kings and his name was Brillat-Savarin, he was the chef for the King, but he was Epicurean. Will talk about cheese rituals in France in a couple of minutes, but it is something that is eaten at the end of the meal. So it comes sometimes as a replacement of desert or is served right before dessert. Cheese in France is not an appetizer or a snack. I have another quote from Winston Churchill, were moving up into the 20th century, and he said “you a country with over 400 cheeses will never be defeated.” Long live Winston Churchill! At the same time, Charles de Gaulle, who headed the French resistance in London, when he became president and realized it was a very hard job because the country is very unruly, he said how can you govern a country that has over 350 cheeses? The problem is he had his numbers wrong. It’s not 350, it’s 400 and those are just the official cheeses. If you include the cheeses that are locally made and never leave the area where they are made, there are over 1000 cheeses in France. markets, farmers markets, and there are many of those. Very often the local cheeses are goat cheeses. Go cheeses tend to be formed into very small pieces, much smaller than the big wheels of Cal cheeses or even sheep cheeses. And it’s also cheese that tends to be made into a fresh cheese and those spoiled sooner, so they are sold locally. Let’s talk about some numbers before we start talking about actual cheeses in France today. Most of these numbers are from 2009 and 2010. Every adult in France eats 23 kg of cheese in a year. That is 50 pounds! And within that 23 kg that there are approximately 15 kg of aged cheese, and 8 kg of fresh cheese. In terms of the overall production, France produced 1.8 million tons of cheese. That’s a lot of cheese and a lot of milk! There’s a lot of milking of cows and sheep and goats! It’s actually the real staple of the diet in France. France but produces per capita more cheese than any other country in the world. Strangely enough, there is one country what people eat more cheese than in France. You will never guess, it’s Greece! And almost all of the cheese that they eat either feta or a hard grating cheese such as Parmesan. So they must put cheese and a lot of things! Yes because one of the big differences between the United States and France is that in France we eat the cheese is per se. In other words, you need the cheese. You don’t melted onto other things generally. We don’t disguise it, we don’t mix it in with other things in general. Traditional French recipes do not call for cheese for the most part. We do have cheese several times a week, not at every meal, but maybe a little bit every day. There’s always some cheese in my fridge. They are probably people thinking all my God fat, cholesterol, but of course in France people eat smaller amounts of everything. So there’s much less of this subsection of whether you can need something or not. Although, it is true that in the last 15 to 20 years there has been a lessening of consumption of cheese especially by women, women over 40, because they are worried about their diet and weight. But mostly what people tend to do is have a small amount of cheese, because it’s a pleasure! I can’t fathom having a family occasion where I don’t serve cheese at the end of the meal. Very often we don’t need that much of it. So this is how it can work at my house: I’m hosting a big dinner, I have 15 people over, and for the end of the meal I have bought maybe to five different cheeses. But maybe only a 10th of that will get deleted because everybody will have a little flavor of something and we just don’t eat big quantities of it. Except for few people we know! But will leave those out! People to save cheese and they get for a few days or even weeks at the time in a special cheese container in the fridge and take it out just an hour or two before you going to eat it. What tends to happen is when visitors come over from the US, they eat more of it because they are curious to try. But French people they know exactly which one is their favorite, and they will have maybe a little slice of their favorite cheese, but to please everyone you have to have a selection of a few different cheeses so that each person will find something they like. I find it very civilized. It’s a civilizing factor, let’s put it that way! And of course you have to have a little bit of wine with you cheese and bread too. And it is true that it take in terms of the taste buds it is good to have a little bit of wine, especially red wine with your cheese. Now there is a loosening up of what kind of wine you have with what. Even someone like Elise who has a tendency to prefer white wines she knows that if you can have the cheese is a better combination to have it with red wine. In France, there are 45 regions designated as AOC for cheese. AOC means Appellation d’Origine Contrôlée, it means that the milk must come from that specific region further cheese to have the name of that region. Just like with wine, that is the way cheeses are very often designated. 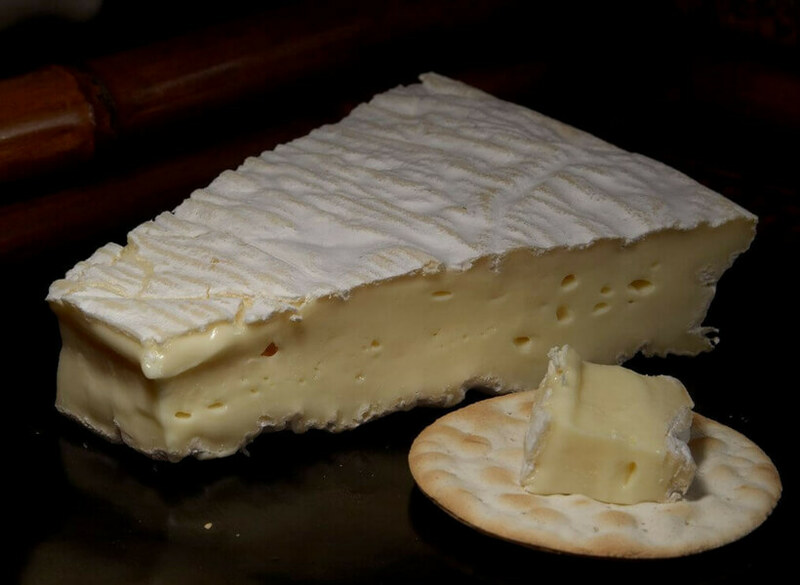 Some people might not know that the cheese Brie comes from the region called Brie. Camembert is a little bit different. There is a village called Camembert, but in fact it’s the region of Normandy. Some of the harder cheeses people might know: Conté, a cheese that both you and I love comes from the Juras Mountains, which is part of the Alps. Emmental is a region. Gruyère is a region. The cheese that is similar to Conté which I love, called Beaufort, is a region. When I have family over, I often buys some Conté and Beaufort and I try to have them guess which one is which. The flavor is close, but I can tell. There’s a nice soft cheese similar to Camembert called Coulomiers, which is the name of the town. And these are some examples of these AOC teases. There is another one that I like (but that Annie does not like very much) called Cantal, and Roquefort which is of course a blue cheese that everyone knows comes from the town of Roquefort. 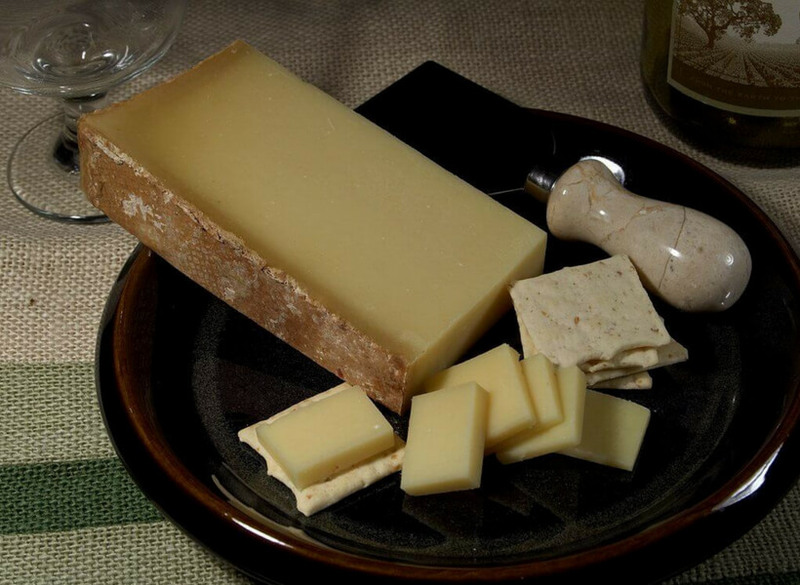 Elise thinks that Cantal in its aged form is the cheese that is most similar to cheddar. So talking about types of cheese, basically you have fresh cheese, it is similar to a cottage cheese, but not in curds. This is where Annie needs to explain the Fromage Blanc thing. It’s kind of a yogurt, but it’s a little bit harder, it’s not very flavorful, but it has a nice feel in the mouth and I prefer that to yogurt. Elise has some American friends in France we don’t like Fromage Blanc. It has the consistency of thick sour cream, but it’s not acidic, and it can be whipped up or the curds can be mashed together. So does have the separate curds like cottage cheese but it’s in that kind of category. In France it’s very often served for dessert with either a red berry sauce or some honey. So fresh cheeses are the mildest, and they are soft. As a cheese gets older it gets harder because all the moisture leaves. The older cheeses are usually a little saltier. So we have a separate category which is blue cheeses. 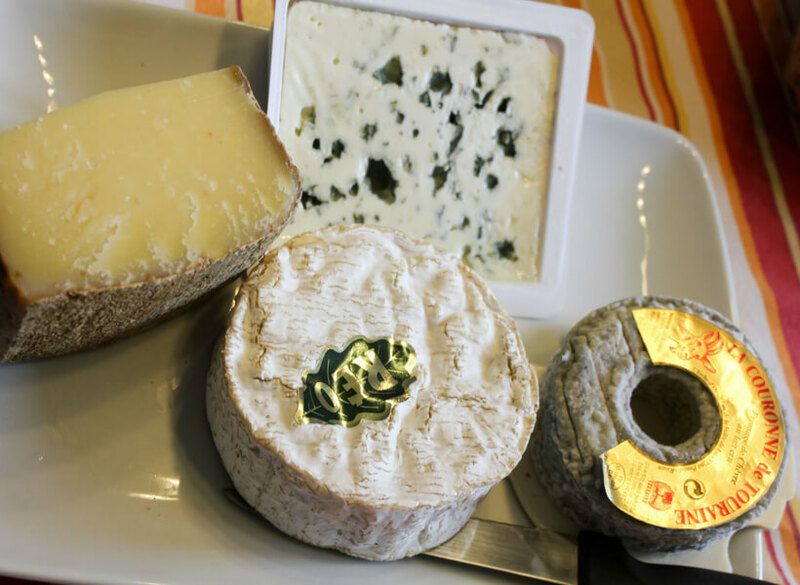 In France it’s not just Roquefort, there are quite a few kinds of blue cheeses. There is one from the region around Lyon, there’s the Bleu d’Auvergne, there are about five or six blue cheeses in France. However, all of them are cow cheeses except for Roquefort which is a sheep’s cheese. Then you have the soft uncooked, unpressed cheeses. That is the category that everyone knows because that’s the Camembert, Brie, Coulomiers, all of the cheeses that are the kind that squish out. And if they get very very ripe, they tend to be rather strong. So they are creamy and buttery, they are usually very good, and they get a little bit powerful when they get older. And these are all tell cheeses. And these are mostly cheeses from the north, not all, but it’s usually northeast and northwest. And you have the other two categories that are called pressed cheeses. You have pressed cheeses that are cooked, that means that the milk has been heated to a certain temperature, before it is put into a mold and literally pressed with a huge stone so that all the moisture goes out of it. The ones that are heated are the cheeses like Conté and Gruyère, so those are pressed and cooked. And then the ones that are pressed but not cooked for example Cantal or Saint Nectaire. These are cheeses from the central region, the old Auvergne region, they tend to be semi-hard. And they ripen and get a big strong. Whereas the very hart cheeses that are in huge wheels like the Conté and the Gruyère and the Beaufort, they get very tasty but they don’t get that strong flavor, little bit of ammonia quality when they get old which is softer cheese tends to get if it is too old. They simply get nice and tasty but very very hard. And in these categories you have lots of different kinds of cheeses, and less variation. In the period means you have wheels of cheese made from sheep’s milk. In the Basque country you have cheese primarily made from sheep milk as well. And you mostly have hard cheeses, even though there are also some softer ones. And they have a tradition that’s a little bit different, because they tend to have their cheese with cherry preserves. Those are the two things they do in the Basque country and it’s very nice actually. The cheese tends to be very strong tasting, even though it’s not too salty, and the sweetness of the cherry preserves to go very nicely with the cheese. 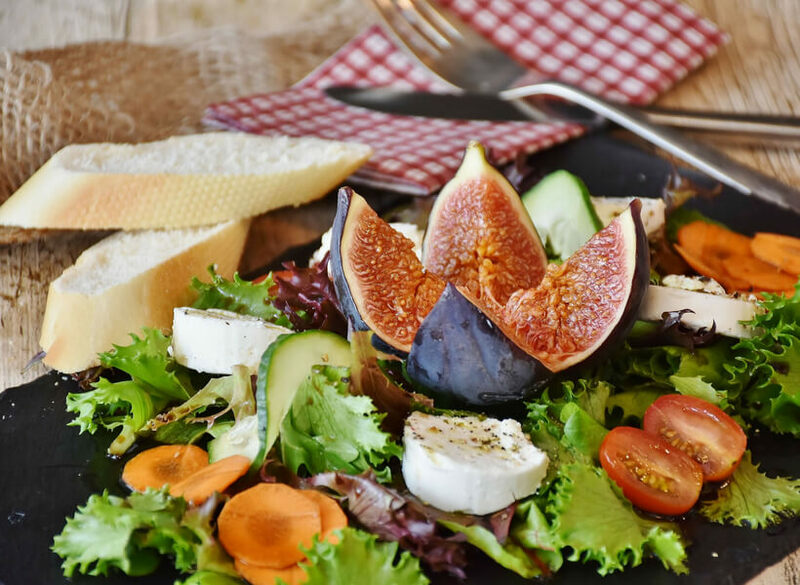 Yes, in France, depending on the family and what you’re serving, we sometimes serve cheese with honey or with a cherry jam, or with Pâte de Coing, or with nuts, or with fig jam. In America, the classic’s cheese with grapes or maybe with pears. We usually don’t do that in France, it’s usually something very sweet that will use to pair with cheese. Something very sweet is good to offset a very strong cheese. Some cheese is just eaten with bread in France. And, in France, we never eat cheese with crackers. Yes, never. This is not a French thing. Sorry to disappoint America. Elise says it’s barbaric for a French person. It would be the strangest thing in the world to pull up some crackers and put cheese on it. Now, I tried it with my family, because when I moved back to America, I have lived there so long that I had forgotten that you don’t serve cheese with crackers. And so, at the end of the meal, I would bring out cheese and crackers. And they were like,huuummmmm. Nobody ever said anything, but they didn’t eat the crackers, they wanted bread. Well of course, you just don’t serve a meal without bread in France. Yes, serving a meal without bread would be very rude in France. So, again, cheese is not usually served as apéritif in France, even though it can be, in some places they are starting to do that. Basically, cheese is served after the main dish. Sometimes with a green salad, sometimes after a green salad, and in some cases if it’s not a really elaborate meal, it is the end of the meal. Unless you’re having a special dessert afterwards, in which case it is what you do between the main meal and the desert. And talking about cheese at the end of the meal, you’ve seen this at my house, Elise likes to celebrate Thanksgiving is a very traditional kind of way, it’s one of the few times of the year where my blood bursts with Americanism, yet she is obliged by the French contingent in her life to bring cheese out at the end of the meal when it should not be there because it’s not a French meal! So, there’s something about the cheese at the end of the meal, you have to put it out, even if people are only in a tiny slivers of it. 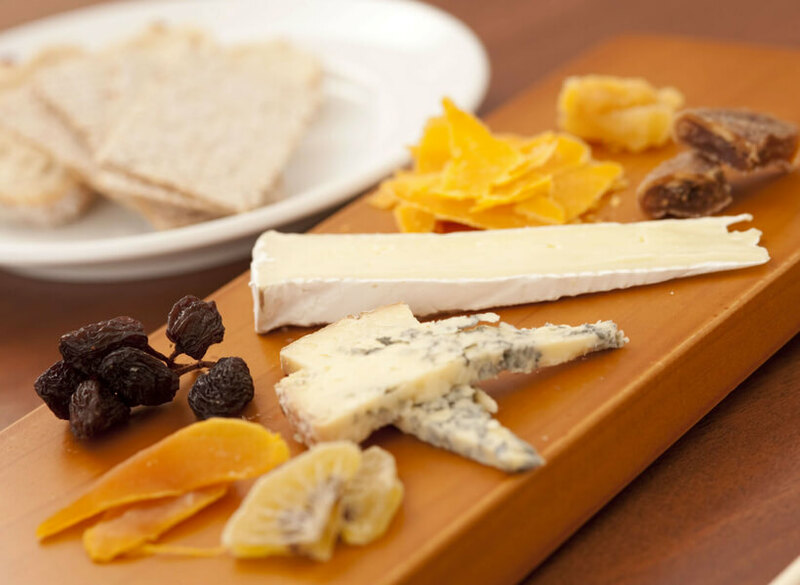 If you’re serving a fancy meal, you have to have cheese at the end, it’s just how it is! See what I mean? That’s the French contingent! That’s how it goes! Would you go to a Chinese restaurant and expect cheese at the end of the meal? No. So, why the expected for Thanksgiving? But that’s another subject for another day. That’s how French people eat cheese! With bread and wine! A lot of people come to France and are afraid to taste cheese that is made from raw milk, “lait cru”. 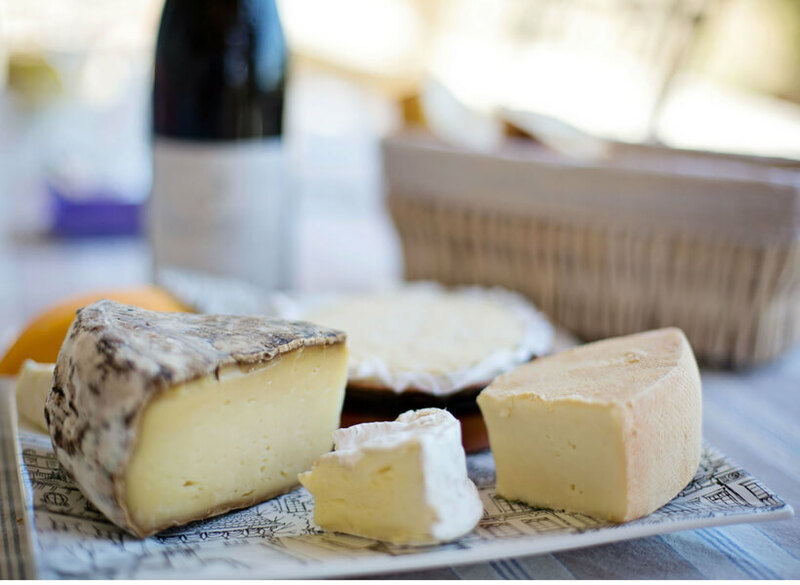 In France there are quite a few cheeses that are made with raw milk: there are raw milk soft cheeses, raw milk semihard cheeses, raw milk hard cheeses. Even Conté can be made with raw milk. It is perfectly safe. It is not because the milk is wrought that there are not sanitary controls. All of the foods that are produced in France are very heavily controlled by the equivalent of the FDA here, by the Department of Agriculture, and you will not get sick from eating cheese that is made from raw milk. We have armies of veterinarians checking up on the conditions of how they were raising the animals, how they do all sorts of things. They control for disease and other things. And it sometimes makes a difference that the milk has not been pasteurized. What’s a little bit strange to Americans, I think, is that you can have a cooked cheese that’s made it from raw milk. What that means is that they started with raw milk, and then the process it the way they normally do. But those are two separate things. And another thing is that Americans, besides Cheddar and Monterey Jack when they talk about cheese they think of processed cheese. But that is used in very small amounts in France. Processed cheese is largely given to children who are not going to eat a lot of strong tasting cheeses. But processed cheese in France is not, legally, cheese. It is officially considered to be a milk product, but it is not cheese. Cheese is 99% milk, with some salt, and rennet added to it. French people have adopted a lot of American habits over the years, but Velveeta cheese is not one of them! You cannot find it anywhere in France. The ones French processed cheese is something called La Vache qui Rit, and that’s the laughing cow in America, and that’s the one that everyone in France knows about. France is very lucky because it’s a country that has extremely rich farmland, has wonderful grasslands, and it has all that’s necessary for the production of all sorts of milks, and therefore of all kinds of cheeses. All I would like to say now is “bon appétit !” And where is the glass of wine Annie? Well, we did break for it to bit of cheese in the middle and we didn’t tell anybody that, but we did not break for wine! What is wine without cheese? Or cheese without wine? We don’t know what the world is coming to! So, I think we need to stop here, but there is plenty more to say about cheese tourism in France. There are so many places where you can visit, you can get on an organized visits, tastings. Going into all of that would be far too long for one day but Elise has done a couple of these, their cheese routes in the Auvergne, and will talk about those in other episodes because they are wonderful circuits. You have one in circuits and you have for cheese circuits and they are both wonderful. Everything like that in France is very well indicated. If you have a car and you can stop in several places it’s a wonderful thing to do. Thank you very much Elyse, thank you for the cheese tasting, we have this really good Conté that is 18 months old, and it’s really good it crackles, it’s the salt that crackles. Annie so missed cheese when she lived in America but then Costco started selling three or four varieties of cheese. In defense of the United States, there really are three major cheese producing regions. One is in upstate New York and Vermont which has excellent cheddars, and in doing my research I realized that the first place cheese was produced industrially was in upstate New York in the 1850, and it was cheddar. So you have Wisconsin which produces wonderful blue cheese and some soft cheeses. And Oregon which produces a wonderful cheeses as well, and even a very good Camembert. Now I know they’re not supposed call it Camembert because that’s a designation of the region in France but in the United States people don’t understand that and so it is called a Camembert. Imposters! So there are some areas that do produce some good cheeses in America. Annie has tasted Wisconsin cheeses and they are very good. Even as a French person I think they’re very good. Americans can make very good cheese, it’s just that they don’t make that much of it, nor do they make many different kinds because it’s not part of their cultural heritage. Americans don’t go eating cheese at the end of every meal, neither do French people anymore. How much do you spend on cheese per week? Maybe €30 per week. In France 17% of the food budget in general is on dairy products. It’s a big amount, far more than meat. French people don’t need that much meat, not in big quantities anyway. When you come to France enjoy some cheese, be adventurous. Annie’s husband loves stinky French cheese, she doesn’t like it so much, but he goes out of his way to try offensive smelling cheeses. The way that can came about is that the singer, and after performance one of the foods they typically share is cheese. And French people get a rise out of getting the American to try really strong cheeses so that’s what they bring. The region of France that is known for having the most smelly cheeses is burgundy. Thank you very much everybody, will talk to you again next Saturday. 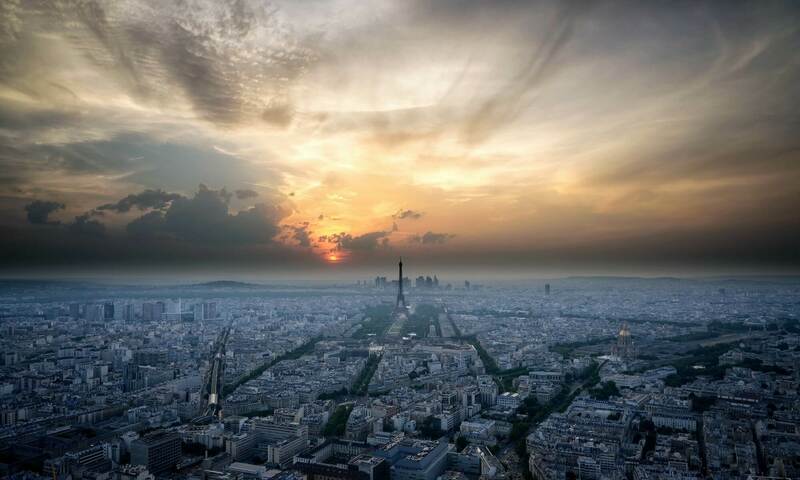 If you are interested in getting more information about upcoming tours and visits, go to join us in France.com, and enter your email address we see the little box in the green subscribe button. You will be receiving updates in your email, and will not spam you because I hate spammers and I don’t take myself, so I won’t do it to you. Very good, thank you, au revoir, à samedi prochain. Camembert, Comté, Roquefort, and Couronne de Touraine goat cheese.